It is with much pleasure that i am introducing Isaac Oboth, the young man who did not let his background put his back on the ground. 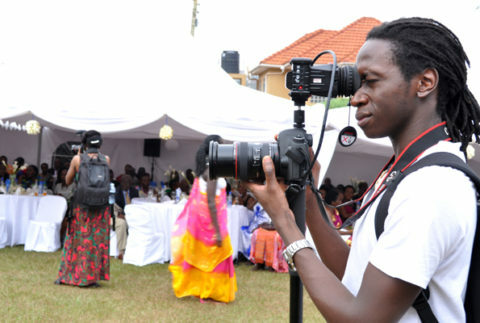 Isaac Oboth is the recipient of the Young Achievers Award for Film and Television in, presented by the President of Uganda, President of Rwanda, and Queen of Buganda in December 2011. He is also a fellow of the Anzisha prize, having won it in 2012, and at 22, was lecturing at the Ugandan School of Design. Isaac Oboth does not have a university degree, not for lack of trying, but because he chose to drop out and focus on his passion. The 26-year-old is the CEO of his own successful TV production company, Media265 which he started in 2010. And what was the genesis of said passion? According to the Mara Foundation blog, the big idea to set up a multimedia business hit him a couple of days to his High School Prom. “Everyone was geared up to look their very best for the last memorable event of their time in school.” Isaac explained. What better time could there be to produce an alumni album than the day of the Prom? The catch was, it had to be affordable. The easiest way to ensure this happened was to cut out the huge cost of printing the photographs. And that’s when he got a eureka moment: a digital alumni album, with appropriate background music – a cheaper, yet more dynamic album. At that time, Isaac did not possess the technical skills needed to do the job, so he contracted a company to do the work. According to Isaac the product was terrible, mainly because of lousy editing. Despite this fact, the digital album still sold out. Isaac saw a demand for a product and a frustrated customer who still paid. That’s when he decided to get into the multimedia business. This was not Isaac’s first venture as an entrepreneur. After he lost both parents before he was even seven, Isaac’s elder brother, Ivan was his sole custodian. Then Ivan lost his job and Isaac had to do his bit and earn some money. Isaac sold other things: DVD photo albums, pork and beer at rugby games, and everything in-between. Until filmmaking beckoned. Like the self-taught Attorneys of yore, Isaac began his re-education by watching online video tutorials for hours at a local internet café, until he eventually founded his company. 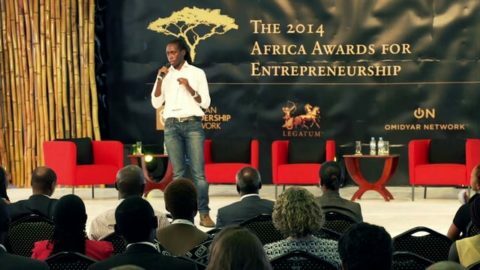 Hard work, persistence and the inability to take ‘no’ for an answer got him his first big break when he was chosen by the Ethiopian commodities exchange to produce a short film with rented equipment. With the monies he earned from that job, he purchased his own video equipment, and leveraged on the success to lobby Coca-Cola. He offered them free work in exchange for being evaluated and who doesn’t like freebies? They agreed. The reward for good work is more work -or so the saying goes- and Coca-Cola signed him up for more work. Media265 has since grown in leaps and bounds. Isaac developed the concept for and produced the 2013 ad campaign for Aqua Sip, featuring Olympic gold-winner Stephen Kiprotich. His other clients have included the UNDP, USAID, African Leadership Network, African Leadership Academy, The Anzisha Prize and the Mara Foundation. Isaac describes himself as a profit-making-film-maker, part of a new breed of young businessmen that have started businesses from nothing and are paving a way with no template. His challenges include finding fast, reliable internet access, and getting payment for work done. Now that you have read this, what is keeping you back from pursuing your dream? Money? Time? Talent? Resources? I’m sure you have no excuse! If he can, you can do much more! I’m glad to hear about your blogging into the entrepreneurship land. Hope to see you here often.